The community, which dates from the late 1850s, was either named for the wild horses that once ran wild in the area or for the wild grapes that grew along the creek banks. It wasn�t until 1876 that Mustang was granted a post office (which closed in 1907). 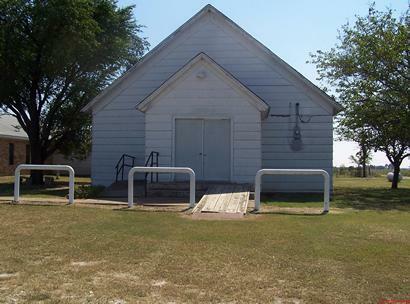 The 1890 population was 75 and Mustang had a store, school, and union church. The population may have had its ups and downs � but figures aren�t available. No doubt its growth was stunted by its proximity to Pilot Point. 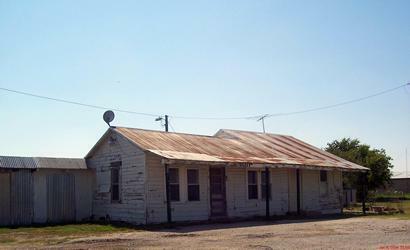 After The Great Depression there were only fifty residents served by two local businesses and today the population is dispersed and there is no town center. The cemetery and two churches remain. 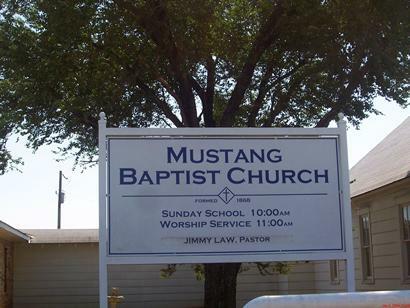 Since Mustang was incorporated into Pilot Point there's no sign telling population anymore...thats why I took the picture of the Mustang church sign. It tells the age of the town by the incorporation date of the church-1868.